I once heard a story about a man who was injured in an accident and lost his memory. He forgot every detail of his life: his name, his friends, even his family. It took him months to recover from his injuries. And during that time, he was tended to most faithfully by one particular nurse. At first, he only knew her as "nurse." But he soon learned her name, and then her schedule, and then her personality. He grew to care for her, and they often spent time together, just laughing and talking. One day, during one of these visits, the man's memory returned, and he suddenly recognized the nurse. To their delight, he exclaimed, "I remember you. You're my wife!" And of course, she was. In some ways, this story is a bit like the relationship between the Holy Spirit and God's people. God's Holy Spirit has always loved his people and cared for them faithfully. But in the Old Testament, they didn't even know who he was. It wasn't until the New Testament that Jesus began to reveal the Holy Spirit as a distinct person within the Trinity, and as the person of the Godhead who's most intimately involved in our lives. 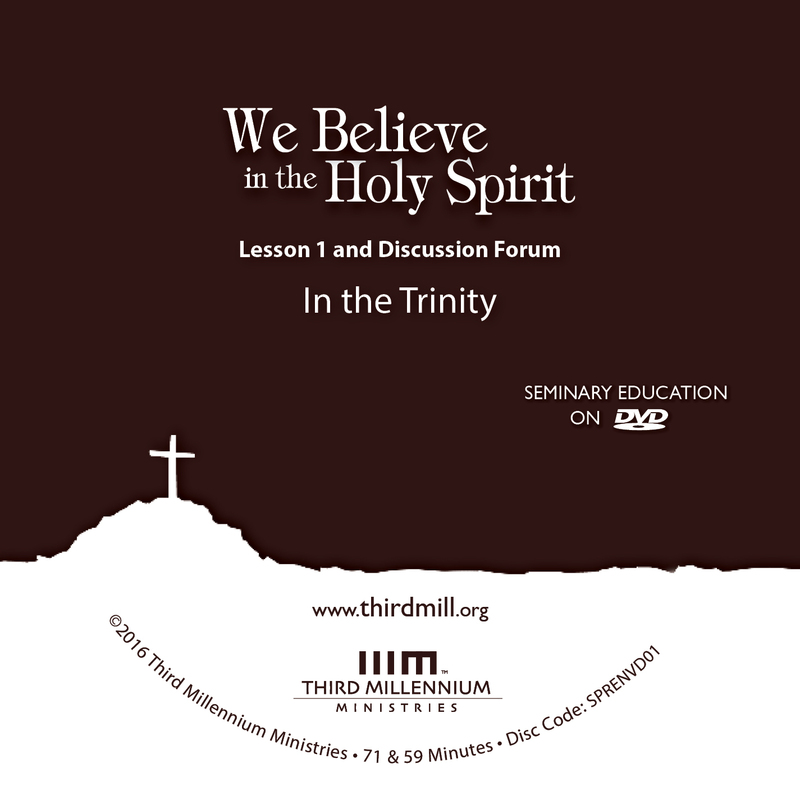 This is our first lesson in the series We Believe in the Holy Spirit. And we've entitled it "In the Trinity." In this lesson, we'll focus on the Holy Spirit as a full and equal member of the Godhead. In systematic theology, the doctrine of the Holy Spirit is referred to as "pneumatology." The word "pneumatology" comes from two Greek roots: pneuma, meaning "spirit," and logos, meaning "study." So, in a broad sense, "pneumatology" refers to "the study of spirits" or "the study of spiritual things." But in Christian theology, pneumatology has a much narrower meaning. Specifically, it refers to "the study of the Holy Spirit," the third person of the Trinity. By the term "person," we mean a distinct, self-aware personality. And by the term "essence," we're referring to God's being, his fundamental nature, or the substance of which he consists. The doctrine of the Trinity was hinted at in the Old Testament, but only the person of the Father was expressed with much clarity. In the New Testament, all three persons of the Trinity were fully revealed: Father, Son, and Holy Spirit. And the nature of their relationship with each other was also defined. Finally, in the early church, all those details were formulated into theological doctrines that Christians have embraced ever since. In this lesson on the Holy Spirit in the Trinity, we'll explore the historical development of pneumatology in three steps. First, we'll see how the Holy Spirit appears in the Old Testament. Second, we'll look at what the New Testament teaches about him. And third, we'll consider the formalized doctrine of the Holy Spirit in church history. Let's look first at how the Holy Spirit was revealed in the Old Testament. Now, we know that God has always existed in Trinity. And the personal distinctions between the Father, Son and the Holy Spirit have always been true of him. All three persons are, and always have been, uncreated and fully God. But during the days of the Old Testament, God's people didn't understand that God existed in three persons. They simply knew and worshiped him as the one true God. Of course, we can see hints throughout the Old Testament that the Holy Spirit is a distinct person. But it's only with the clarity of the New Testament that we can recognize these hints. The mystery of the Trinity is not revealed in the Old Testament; but the mystery of the Trinity underlies the Old Testament revelation, and here and there almost comes into view. Thus the Old Testament revelation of God is not corrected by the fuller revelation which follows it, but only perfected, extended and enlarged. God didn't reveal himself as the Trinity in the Old Testament — at least not in a way that his people could recognize clearly. Even so, because God really does exist in Trinity, and because the Old Testament really does reveal him, the Old Testament contains clues about the Trinity. And when we read the Old Testament with the insight we gain from the New Testament, we can see these clues more clearly. There are many ways to investigate the Holy Spirit in the Old Testament. But for our purposes, we'll focus on the Old Testament's references to God's Spirit, and on how those references indicate the Spirit's divinity or deity, and his personhood. Let's look first at some Old Testament references to God's Spirit. The Old Testament uses several names for God's Spirit, including "Holy Spirit," "Spirit of God," "Spirit of the Lord," and, sometimes, when God is speaking, "my Spirit." In the Old Testament, the Hebrew word we translate as "spirit" is ruach. In general terms, ruach can refer to a variety of things. It can be wind or breath. In animals, it can be the principle of life that animates them. In human beings, our ruach is often our immortal soul. Ruach can also refer to spirits that don't have material bodies. But when used of God, it's generally either a synonym for God himself, or it refers to his personal presence and active engagement with creation. In the names "Spirit of God," "my Spirit," and "Spirit of the Lord," ruach is combined with a name or pronoun for God, indicating that God's Spirit is associated with God in some way, or that it actually is God. And the Old Testament name "Holy Spirit" couples ruach with the Hebrew word qodesh, meaning "holiness." God's qodesh or "holiness" is his "otherness" or "apartness" — his quality of being different from his creation. It includes things like his absolute moral purity, as well as the splendor of his appearance. The same word is also reflected in other names for God, like "the Holy One," as we see in places like 2 Kings 19:22, Isaiah 30:11-15, and Hosea 11:9-12. It can be tempting for Christians to think that these Old Testament names refer directly to the third person of the Trinity. But we need to remember that God didn't explain his existence in three persons until the New Testament. So, in the Old Testament, these names refer to God without clearly distinguishing between his persons. Even so, these names helped prepare God's people to learn about the Trinity in the New Testament. And, in light of the New Testament's teaching, theologians have commonly applied these references to the Holy Spirit's nature and work. Having looked at some Old Testament names for God's Spirit, let's see how these names demonstrate the Spirit's divinity or deity. When we speak of the Holy Spirit's divinity or deity, we have in mind that the Spirit is actually the uncreated God, and not simply one of God's agents. As we've said, Old Testament references to God's Spirit sometimes identify God himself, and sometimes describe his engagement with creation. But in both cases, they point to his eternal, uncreated divinity. We'll consider four Old Testament characteristics of God's Spirit that point to his divinity, beginning with references that equate the Spirit with God himself. They rebelled and grieved his Holy Spirit. So he turned and became their enemy and he himself fought against them (Isaiah 63:10). Then his people recalled the days of old, the days of Moses and his people — where is he who brought them through the sea … who set his Holy Spirit among them, who sent his glorious arm of power to be at Moses' right hand, who divided the waters before them, to gain for himself everlasting renown, who led them through the depths? … [T]hey were given rest by the Spirit of the Lord. This is how you guided your people to make for yourself a glorious name (Isaiah 63:11-14). The Lord is a warrior; the Lord is his name. Pharaoh's chariots and his army he has hurled into the sea… Your right hand, O Lord, was majestic in power. Your right hand, O Lord, shattered the enemy (Exodus 15:3-6). Here, it's clear that the Lord himself performed these works. So, when Isaiah attributed them to God's "Holy Spirit" and to the "Spirit of the Lord" in Isaiah 63, he intended his original audience to interpret these as names for God himself. In addition, when Moses spoke of God's "right hand" winning the victory, he was using metaphoric language that compared God to a human warrior. And his point was that God himself had directly entered and won the battle. In the same way, when Isaiah later equated God's Holy Spirit to God's arm, he meant that God himself was invisibly present as a warrior fighting on behalf of his people. And something similar is often true of the name "Spirit of God." For instance, in Genesis 1:2, the Spirit of God hovered over the waters at creation. In Job 33:4, the Spirit of God is the creator of human beings. And in Psalm 106:32, 33, he is God, the Lord, against whom the Israelites rebelled and grumbled at Meribah. In these and many other places, the context identifies or equates the Spirit of God with God himself. And the same thing applies to the name the "Spirit of the Lord," using God's covenant name "Yahweh" in place of the more generic name "God." In addition to referring to God in Isaiah 63:14, as we just saw, it also refers to him in Micah 2:7, and arguably in several other passages too. And the simple phrase "my Spirit" also directly identifies God himself. In Genesis 6:3, it speaks of God contending with humanity. And in Haggai 2:5, God spoke of remaining present with his covenant people through his Spirit. A second fact that points to the divinity of God's Spirit in the Old Testament is that the Spirit empowered prophecy and visions. When the Spirit of God inspired Old Testament prophecies and visions, he often revealed knowledge that only God could possess. And he also delegated authority to the prophets to speak on God's behalf. And in some cases, God's Spirit even controlled the spirits of human prophets in spectacular ways, very similar to the Holy Spirit's gift of prophecy in the New Testament. In all these situations, it's reasonable to conclude that the Spirit of God was actually God himself. The Spirit's divine authority and power are demonstrated this way in 1 Samuel 19:20-24, where Saul and his men were temporarily given the gift of prophecy. It's also evident in 2 Chronicles 24:20, where the prophet Zechariah was empowered to speak God's words on his behalf. And it's apparent in Ezekiel 11:24, where the Spirit of God gave Ezekiel a prophetic vision. When Balaam looked out and saw Israel encamped tribe by tribe, the Spirit of God came upon him and he uttered his oracle: "The oracle of Balaam … the oracle of one who hears the words of God, who sees a vision from the Almighty" (Numbers 24:2-4). The Spirit of God provided Balaam with the words of God and a vision from the Almighty. This explained why Balaam failed to curse Israel — God himself provided the words that Balaam was compelled to speak. Here, the parallelism of David's poetry suggests that the Spirit of the Lord and the God of Israel are one and the same. I will pour out my Spirit on all people. Your sons and daughters will prophesy, your old men will dream dreams, your young men will see visions. Even on my servants, both men and women, I will pour out my Spirit in those days (Joel 2:28-29). In Acts 2:1-29, the apostle Peter taught that this prophecy was fulfilled when God poured out the Holy Spirit on the church at Pentecost. In other words, Joel's Old Testament reference to God's Spirit ultimately refers to the person of the Holy Spirit. Again, this doesn't mean that Joel's prophecy explicitly declared the existence of the third person of the Trinity. But it does mean that the Spirit in Joel's prophecy was none other than God himself. The third Old Testament characteristic that points to the divinity or deity of God's Spirit is that he imparted special skill and knowledge to select human beings. In the Old Testament, God's Spirit supernaturally gifted certain human beings to perform ministry tasks. For example, in Exodus 31:3 and 35:31, God filled the craftsmen Bezalel and Oholiab with his Spirit so that they could craft the tabernacle and its furnishings. The idea was that God personally blessed them with enhanced abilities and knowledge to ensure that their work would please him. This was particularly important because, according to Exodus 25:9, 40, the craftsmen were to pattern the earthly tabernacle after the heavenly one. So, they had to have sufficient skill and knowledge of all the crafts necessary to complete this task, such as metalworking, woodworking, stone cutting, embroidery, art, and every other craft necessary to build the tabernacle. A parallel to this type of gifting can be seen in the various spiritual gifts the Holy Spirit provided to the church in the New Testament, as in Romans 12, 1 Corinthians 12, and Ephesians 4. And just as the gifts are provided by the divine Holy Spirit in the New Testament, they were also provided by God's divine Spirit in the Old Testament. The fourth way we see the divinity or deity of God's Spirit in the Old Testament is in the Spirit's anointing and empowerment of kings and other leaders among God's covenant people. When the Spirit of God anointed kings, he acted as the suzerain or great emperor of the covenant in order to delegate authority to a vassal or servant king. In the structure of the covenant, God himself ruled over everything. And he appointed lesser kings to rule over portions of his kingdom on his behalf. For instance, Saul and David were kings over God's servant nation Israel. They ruled on God's behalf and were completely under his authority. That's why in 1 Chronicles 29:23, David's throne in Jerusalem is referred to as the throne of the Lord. So, when the Spirit of God anointed kings, he was exercising authority that belonged to God himself. And this indicates that the Spirit was himself God. Samuel took the horn of oil and anointed [David] in the presence of his brothers, and from that day on the Spirit of the Lord came upon David in power… Now the Spirit of the Lord had departed from Saul (1 Samuel 16:13-14). David received the Holy Spirit when he was anointed as king, even though he hadn't yet ascended Israel's throne. Similarly, Saul lost the Holy Spirit's supernatural blessing and gifting, even though he still ruled as king. Later, after David sinned with Bathsheba, David feared the same thing might happen to him. So, in Psalm 51:11, he begged to keep God's Holy Spirit. He wasn't asking to keep the throne — he expected to be able to keep that, just as Saul had kept it even when he sinned. Instead, David asked to keep God's empowering presence that enabled him to carry out God's royal will. The New Testament sheds some light on this activity of the Spirit in the account of Jesus' baptism and anointing for his office of Messiah or Christ. This account is recorded in Matthew 3:14-17, Mark 1:9-11, and in Luke 3:21, 22. In all of these accounts, Jesus' baptism prepared him for ministry, the Holy Spirit descended on him bodily in the form of a dove, and the Father spoke from heaven to confirm that he was pleased with Jesus. Without question, the Spirit of God at Jesus' baptism is the third person of the Trinity. And this helps us see that the same Holy Spirit performed the same function in the Old Testament. Of course, the Old Testament's original audiences wouldn't have interpreted this to mean that the Spirit of the Lord was a distinct person within the Godhead. Nevertheless, they should have been able to see that when the Spirit anointed and gifted people, it meant that God himself was interacting with the world. We see this in the anointing of Saul in 1 Samuel 10:6, and in the gifting of David for his rule as king in Isaiah 11:2. It's also apparent in Micah's gifting for his office of prophet in Micah 3:8. And the Spirit of the Lord appointed and empowered Israel's judges throughout the book of Judges: he came upon Othniel in 3:10; Gideon in 6:34; Jephthah in 11:29; and Samson in 13:25, 14:6, 19, and 15:14. So far, we've considered how the doctrine of pneumatology developed in the Old Testament by focusing on references to God's Spirit, and on the Spirit's divinity or deity. Now let's briefly mention how these references also point to the Spirit's personhood. The Old Testament clearly shows that God is personal. But it doesn't indicate how many persons he has, or whether or not his persons are distinct from each other. So, when we say that the Old Testament demonstrates the Spirit's personhood, we don't mean that it points to him as distinct from the Father and the Son. We just mean that it proves him to be a fully divine, uncreated person. By contrast, it's sometimes argued that, in the Old Testament, God's Spirit was presented as an impersonal force or power. But as we've already seen, many references to the Spirit are direct references to God himself. And God is definitely not an impersonal force. So, every passage that equates God's Spirit with God himself demonstrates that the Spirit is personal. In addition to this, there are also passages that ascribe personal qualities specifically to the Spirit, qualities that could never be used to describe an impersonal force. The Old Testament points to the personhood of God's Spirit in many ways. But for the sake of time, we'll look at just four ways, starting with how the Old Testament calls attention to the Spirit's emotions. Similarly, verses like Micah 2:7 raise the possibility that the Lord's Spirit can be angry. Second, we see the Spirit's personhood in passages that speak of him actively engaging in relationships with humanity. For instance, in the story of the flood of Noah's day, Genesis 6:3 speaks of God's Spirit contending or striving with humanity. This contending was personal because it involved evaluating and intelligently responding to humanity's sin. There may even be a suggestion that God's Spirit flooded the world only after his patience had run its course. Impersonal forces don't contend with us, respond intelligently, or demonstrate patience. In order for the Spirit to do these things, he had to be a person. Third, the Spirit's personhood is demonstrated by people's response to his authority. As just one example, Exodus 17:1-7 records the people's rebellion at the waters of Meribah. In this account, the people complained to Moses that there was no water for them to drink, and they "put the Lord to the test." Psalm 106:33 recalls this same event saying that the people "rebelled against the Spirit of God." Now, of course, people can rebel against impersonal laws and institutions. But when Psalm 106 says that the people rebelled against God's Spirit, it means that they rebelled against the Lord who had authority over them, not just against his rules. And fourth, the Spirit's personhood is also indicated in places where he's shown to be speaking of his own volition and making choices about what prophets should say on his behalf. For example, in 2 Samuel 23:2, David claimed that the Spirit of the Lord spoke through him. That is, David was giving voice to what the Spirit wanted him to say. Similarly, in Ezekiel 11:5, the Spirit of the Lord spoke to the prophet Ezekiel and told him what to tell his people. Again, impersonal forces don't have conversations, let alone ideas they want to express. Only persons do. As we've said before, passages like these don't reveal the Holy Spirit as a distinct person within the Godhead. But they do demonstrate that God's Spirit is a divine person and not simply a force. In many places in the Old Testament, God's Spirit is both fully God and fully personal. But these passages don't refer to any of God's persons specifically. After all, God's existence in three persons wasn't revealed until the New Testament. But as we'll see, the New Testament often identifies the third person of the Trinity with God's Spirit in the Old Testament. So, as Christians, it's right for us to conclude that these Old Testament references foreshadow the revelation of the Holy Spirit as a full member of the Trinity. Now that we've considered the Holy Spirit in the Trinity from the perspective of the Old Testament, let's turn to God's further revelation in the New Testament. The New Testament commonly refers to the Holy Spirit in ways that echo the Old Testament. For instance, it uses the Greek word pneuma, meaning "spirit" in the same way the Old Testament uses ruach. Both words have the same range of meaning, referring to wind, breath, the life force of animals, human souls, and non-corporeal spirits.  In fact, the Septuagint — the Greek translation of the Old Testament — commonly translates ruach as pneuma. Just as in the Old Testament, God's Spirit is known by a variety of names in the New Testament. Many of these employ the word pneuma. He's most often called "Holy Spirit." But he's also known as "the Spirit of God," "the Spirit of the Father," "the Spirit of the Lord," "the Spirit of Jesus," "the Spirit of Christ," "the Spirit of Truth," "the Spirit of Holiness," "the Spirit of Life," "the Spirit of Grace," and other similar names. These names identify the Holy Spirit with God's Spirit in the Old Testament, and also describe his character and work. They show him to be one with the Father and Son, and to have attributes like truth, holiness, life, and grace. With regard to the Spirit's personhood, the New Testament teaches much more clearly and directly that the Holy Spirit is a distinct person within the Trinity. But even in the New Testament, God's people had to grow in their understanding of his person and work. Jesus' teachings in the Gospels give us glimpses into what Jews and Christians understood during his earthly ministry. And the rest of the New Testament teaches us what the apostles ultimately came to understand and to teach. In line with this history, our discussion of the New Testament will divide into two parts. First, we'll explore what Jesus directly taught about the Holy Spirit. And second, we'll see what the apostles later taught during their ministries. Let's begin with Jesus. For this reason the Jews tried all the harder to kill him; not only was he breaking the Sabbath, but he was even calling God his own Father, making himself equal with God (John 5:18). The Jews wrongly assumed that Jesus couldn't be God because the Father in heaven was already God. They rightly understood that there is only one true God. But they wrongly inferred from this that God existed as only one person. This is probably why the Jews didn't become angry when Jesus identified the Holy Spirit as a person. They must have assumed, however wrongly, that Jesus was simply referring to God as the Holy Spirit. We see this in Matthew 12 and Mark 3, where Jesus explained his power of exorcism. In Matthew 12:24, the Pharisees accused him of casting out demons "by Beelzebub, the prince of demons." And Jesus responded in verse 28 that he cast out demons "by the Spirit of God." In the context of Jesus' broader teachings, it's clear that he was referring to the Spirit as a distinct person from the Father. But there's no indication that the Pharisees grasped the significance of his words. I will ask the Father, and he will give you another Counselor to be with you forever — the Spirit of truth. The world cannot accept him, because it neither sees him nor knows him. But you know him, for he lives with you and will be in you (John 14:16-17). Unless I go away, the Counselor will not come to you; but if I go, I will send him to you (John 16:7). The Spirit … will not speak on his own; he will speak only what he hears, and he will tell you what is yet to come (John 16:13). Throughout his Farewell Discourse, Jesus repeatedly taught that the Holy Spirit is a distinct person from both the Father and from himself. The Holy Spirit would be sent by the Father and by his Son Jesus. The Spirit would speak what the Father told him to speak, and he would replace the Son as God's active presence among his people. So, the Spirit is neither the Father nor the Son. He's his own, distinct person. In both English and Greek, the word translated "name" here is singular, and the Father, Son and Holy Spirit are all listed as equals. This section of the Great Commission is commonly called a "Trinitarian formula" because it lists the names of all three persons of the Trinity in a way that points to their joint membership in the Godhead. When Jesus said that the Father, the Son and the Holy Spirit all shared a single name, he indicated that they all shared God's own authority — meaning they must all be God. He also indicated that all three persons of God would rule over the discipled nations. Having looked at Jesus' teachings in the New Testament, let's look at what the apostles said about the Holy Spirit. Ananias, how is that Satan has so filled your heart that you have lied to the Holy Spirit? … You have not lied to men but to God (Acts 5:3-4). God's elect … who have been chosen according to the foreknowledge of God the Father, through the sanctifying work of the Spirit, for obedience to Jesus Christ and sprinkling by his blood (1 Peter 1:1-2). These Trinitarian formulas resemble the one that Jesus used in the Great Commission. They testify to the fact that the Father, the Spirit, and the Son Jesus Christ are all equally God, sharing the same power and glory, and that they're all distinct persons. And the apostles affirmed the Spirit's full divinity and personhood in many other ways, too. They ascribed personal qualities to him, like thought and emotions. For instance, in Acts 15:28, the Holy Spirit determined how the Old Testament law applied to Gentiles. Romans 5:5 speaks of his love. And Ephesians 4:30 mentions his grief. The apostles also spoke of him performing intentional actions, like interceding for the church in Romans 8:26, 27, and distributing gifts according to his own will in 1 Corinthians 12:11. And they ascribed incommunicable divine attributes to him — attributes that only God can possess. For instance, Paul described his omniscience in Ephesians 1:17, and 1 Corinthians 2:10, 11, where he said that the Spirit knows everything that God knows. And Hebrews 9:14 calls the Holy Spirit the "eternal Spirit," indicating that he existed even before creation, and that his continued existence is everlasting and unbreakable. The Holy Spirit spoke the truth … through Isaiah the prophet (Acts 28:25). Beyond this, the apostles' understanding of the full divinity and personhood of the Holy Spirit was affirmed when the Spirit was finally poured out on the church, just as Jesus had promised. Acts 2 records that on the first Pentecost after Jesus ascended into heaven, the entire church received the gift of the Holy Spirit in a spectacular way. What appeared to be tongues of fire descended on them, and they spoke the gospel in every language. And from this point forward, the apostles were gifted in ways that demonstrated God's power over all creation. They were enabled to heal the sick, raise the dead, and perform many other miracles that testified to the truth of the Holy Spirit's divine power and favor. It's clear that the apostles saw the Holy Spirit as a distinct person within the Trinity. They recognized that this truth was hinted at in the Old Testament. And they understood that Jesus had revealed it, too. But they also had experienced the reality of the Spirit's powerful presence, as he moved history forward into a new stage of God's saving work. The Holy Spirit was poured out on them in power, so that they worked miracles, received revelations from God, and were even inspired to write the Scriptures of the New Testament. So far in our lesson on the Holy Spirit in the Trinity, we've explored the historical development of pneumatology by focusing on the Old Testament and on the New Testament. Now we're ready to address our last major topic: the development of formalized pneumatology in church history. For the first few centuries, the early church worked to explain and summarize Scripture's teaching on the Holy Spirit. Scripture has always taught that there is only one God, and that the Father, Son and Spirit all are that one God. But this is obviously a complex and mysterious idea. So, Christians have often disagreed over how to explain and define it. We'll look at four steps in the development of pneumatology in early church history. First, we'll consider the affirmation of the Holy Spirit in the Apostles' Creed. Second, we'll explore the formalized Trinitarian doctrine. Third, we'll see how this doctrine was reflected in the Nicene Creed. And fourth, we'll mention the distinction between the ontology and economy of the Trinity. Let's begin with the Apostles' Creed. The Apostles' Creed grew out of local baptismal creeds that date as far back as A.D. 200. These were creeds that new believers were expected to affirm when they were baptized. Some ancient accounts indicate that when a person was baptized, he or she was expected to provide three affirmations: one relating to the Father, one to the Son, and one to the Holy Spirit. And the Apostles' Creed is structured around these affirmations. As such, it liturgically places the Holy Spirit on the same level as the Father and the Son. And it does this because it reflects the early church's belief that the Holy Spirit is a third distinct person within the uncreated Godhead, on an equal level with the Father and the Son. Moreover, within the structure of the Apostles' Creed, the various works of each person of the Trinity are listed under his name. So, the Father is said to be the Maker of heaven and earth. Regarding the Son, the Creed lists his conception, birth, death, burial, resurrection, ascension, and future return. And the Holy Spirit is mentioned as the one responsible for the church and for the application of salvation to believers. Despite the fact that the Apostles' Creed pointed to both the Spirit's full divinity or deity, and his full personhood, it still didn't provide a clear definition of the doctrine of the Trinity. It contained all the right elements. But it didn't produce the vocabulary that the church eventually came to embrace. As a result, people could say they affirmed the language of the Creed even if they didn't agree that the Spirit was a third distinct person on an equal level with the Father and Son. Having mentioned how the Apostles' Creed reflected the development of pneumatology in church history, let's consider the initial stages of formalized Trinitarian doctrine. God's existence as the Trinity is highly mysterious. It's so far beyond our experience that we have a hard time thinking about it, let alone talking about it. So, in order for the early church to discuss their beliefs about God, it was useful for them to find consistent ways to talk about him. And much of the early church's work in this area benefited from the work of the early theologian Tertullian. Tertullian was a prolific Christian writer who lived from around A.D. 155–230. He used and popularized the Latin term trinitas as a way to refer to the Bible's teachings that God exists as Father, Son and Holy Spirit. Trinitas can be translated "three" or "triad." But when it refers to the Godhead, we translate it "Trinity." Of course, the church didn't reach this understanding of the Trinity without difficulty. And in the conversations that led up to this definition, the Holy Spirit was often at the center of debate. There were some, like the fourth-century theologian Eustathius of Sebaste, who wrongly believed that the Holy Spirit was neither the self-existent God nor a created being. And even the creeds of the church didn't provide many details that all Christians were expected to affirm. For example, the Apostles' Creed merely said, "I believe in the Holy Spirit." And the original Nicene Creed, written in A.D. 325 by the First Council of Nicea, simply said, "We believe … in the Holy Spirit." As a result of this lack of clarity, there were many arguments over the details of Trinitarian doctrine. In fact, it got so bad that during the reign of the Roman emperor Constantius II, and for a short while after his death, many in the church actually rejected Trinitarianism, at least in the form we know it today. The Second Council of Sirmium in A.D. 351 and the Third Council of Sirmium in A.D. 357 affirmed what's been called the "Arian heresy." This teaching denied the Son's full membership in the Godhead and denied that the Son was of the same essence or substance as the Father. At this point in history, many parts of the church broadly rejected the same Trinitarian doctrine they had previously accepted as biblical. Now that we've considered pneumatology in church history from the Apostles' Creed to the initial formalization of Trinitarian doctrine, let's turn our attention to the Nicene Creed. We believe … in the Holy Spirit, the Lord and Giver of life, who proceeds from the Father, who with the Father and the Son together is worshiped and glorified, who spoke by the prophets. This version of the Creed is sometimes called the Niceno-Constantinopolitan Creed, in order to distinguish it from the original Nicene Creed. It's likely that this expanded emphasis on the Holy Spirit was motivated, at least in part, by the work of Basil of Caesarea, who lived from around A.D. 330–379. Basil's book titled De Spiritu Sancto, or On the Holy Spirit, was greatly influential in refuting the beliefs of people like Eustathius, who refused to acknowledge the full deity of the Holy Spirit. Basil also made the point that since the Holy Spirit was God, he deserved to be worshiped. The expanded references to the Spirit in the Nicene Creed themselves constituted a form of worship, since the Creed became part of the church's liturgy. But they also helped lead the church more broadly to focus on the worship of the Spirit in the rest of their liturgy and prayers. So far, we've considered the development of pneumatology in early church history in terms of the Apostles' Creed, formalized Trinitarian doctrine, and the Nicene Creed. Now let's address the distinction between the ontology and economy of the Trinity. As church history progressed, theologians eventually came to understand the Trinity from two different perspectives. They began to speak of both the ontological Trinity and the economic Trinity. The word "ontological" refers to being and existence. So, the theological term "ontological Trinity" has to do with the existence of the Father, Son and Holy Spirit within the Trinity. From this perspective, the Holy Spirit is equal in power and glory to the Father and the Son. And he shares with them all of God's divine attributes. As the Westminster Shorter Catechism question and answer 4 puts it, all three persons are "infinite, eternal and unchangeable in [their] being, wisdom, power, holiness, justice, goodness and truth." We believe … in the Holy Spirit, the Lord and Giver of life, who proceeds from the Father. The western church later expanded the Latin version of this Creed to add the word filioque, meaning "and the Son," to the end of this phrase. So, most churches in the West now use a version that says the Holy Spirit "proceeds from the Father and the Son." Some theologians have understood the Holy Spirit's procession to be ontological. That is, they believe the Spirit's personhood is eternally "breathed out" from the Father, or from the Father and the Son. But others have understood the Spirit's procession as a function of the economic Trinity. The theological term "economic Trinity" refers to how the Father, Son and Holy Spirit interact with each other, especially as it pertains to creation. From this perspective, each one has different roles and different responsibilities, and even different authority. Many parts of Scripture suggest that the Holy Spirit willingly serves the Father and Son. For instance, he was sent or "given" by the Father and the Son. Scripture teaches this in passages like Luke 11:13, John 14:26 and 15:26, and Acts 2:33. And when he comes, the Spirit obeys the Father and the Son by doing the work they've sent him to do. We learn of this in places like John 16:13, Romans 8:11, and 1 Peter 1:2. Because of passages like these, many theologians say that, within the economic Trinity, the Father and Son have greater authority than the Holy Spirit. Even so, it's important to emphasize that the Spirit is still fully God, and that this authority structure exists because they all want and agree to it. So, the Holy Spirit isn't in any way inferior to the Father and the Son. The doctrine of the Holy Spirit took centuries to formalize. But this doesn't mean that the church didn't always believe the central elements of pneumatology. After all, the church in all ages has embraced the Scriptures. And the Scriptures clearly teach that the Holy Spirit is a fully divine person — an equal member of the Godhead. Rather, the formalization of pneumatology happened in stages, and generally in response to heresy. Theologians realized that they needed to provide more details, and to communicate more clearly, in order to prevent others from falling into error. And these formulations have stood the test of time. Throughout the centuries, nearly all branches of the church have affirmed the same beliefs about the Holy Spirit's role in the Trinity. In this lesson on the Holy Spirit in the Trinity, we've explored how the Old Testament speaks of God's Spirit in terms of his divinity and personhood. We've seen how this understanding was expanded in the New Testament under Jesus and his apostles. And we've surveyed pneumatology in church history by considering the Apostles' Creed, the formalization of Trinitarian doctrine, the Nicene Creed, and the distinction between Trinitarian ontology and economy. Understanding who the Holy Spirit is in the Trinity is an important part of understanding his work in our lives. As we'll see in future lessons, the Holy Spirit is even more personally involved with us than the Father and the Son are. He indwells us. We rely on him for spiritual strength, for experiencing God's forgiveness when we sin, for growth in holiness, for perseverance in faith, for the gifts that allow us to minister to others, and for a host of other blessings. And knowing that the One who lives in us is the personal, fully divine Spirit of our Father, and of our Lord and Savior, helps us appreciate his ministry and cooperate with the work he's doing in our lives. Dr. Uche Anizor is Associate Professor of Biblical and Theological Studies at Talbot School of Theology. Dr. J. Scott Horrell is Professor of Theological Studies at Dallas Theological Seminary. Dr. Steve McKinion is Associate Professor of Theology and Patristic Studies at Southeastern Baptist Theological Seminary. Rev. Dr. Emad A. Mikhail is President of Great Commission College in Egypt.